What to do about dark spots and melasma?? Having worked in the skin care industry for over 12 years there is one thing that plagues men and women about their skin, especially on their face: DARK SPOTS! DARK SPOTS!!!!! People ask me all the time: How do I get rid of dark spots on my face? Dark spots, or hyperpigmentation (the medical term) is a problem that can affect men and women of all ages, and can be very embarrassing and make people self conscious. It affects how we feel about the way we look. And how we look affects our entire life. 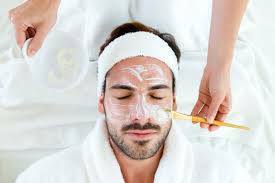 Alsop finding a great Esthetician to get facials and proper skin care is very important in any skin care regimen. Using proper skincare as well as home care can help reduce hyperpigmentation drastically and work to treat other skin care issues such as acne, dry skin, oiliness, etc. Using products that have ingredients that work to reduce enzymes that cause melanin overproduction are essential to helping reduce darkness and your Esthetician will know which products are right for you and your skin type. The reason I know this is because I have dealt with dark spots for years and have tried many many products. 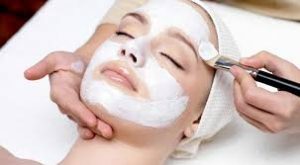 I have done chemical peels, microdermabrasions, facials, etc etc etc. I understand how dark spots affect your self esteem, how it feels to be unhappy with your skin and have to use makeup even in the summer (which most women HATE), and I am a firm believer in using the correct products, and doing proper skincare. This is not a fast process, but I will tell you that minimizing the dark spots on my face has made me much more comfortable going out without makeup, and when I DO use makeup it is MUCH less than I used to use.